Now available to ship as of 3/1/19! Experience the evolution of excellence. 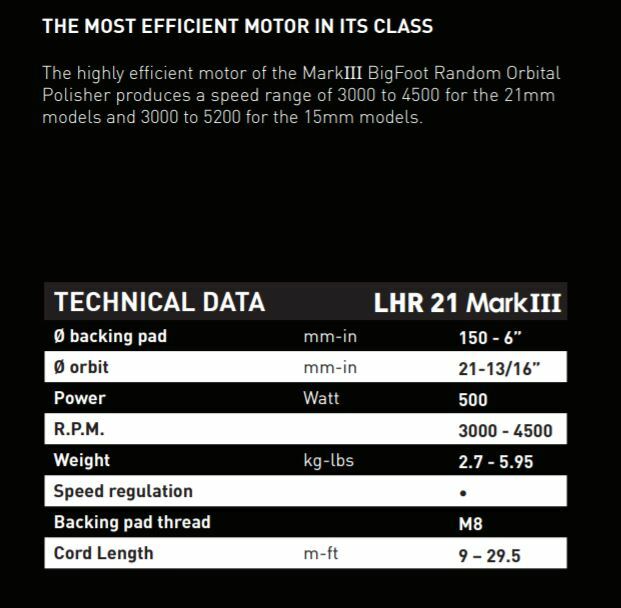 The Mark III generation of our flagship polishing system isn’t a full re-write of the platform, but an evolutionary step that takes the class-leading performance of the BigFoot random orbital tools and continues to refine their performance. 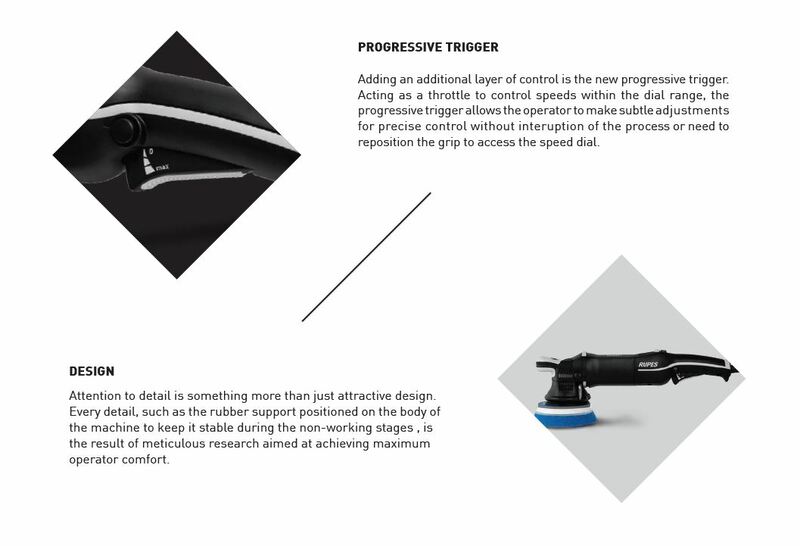 With numerous ergonomic enhancements and new features, the best just continues to get better! 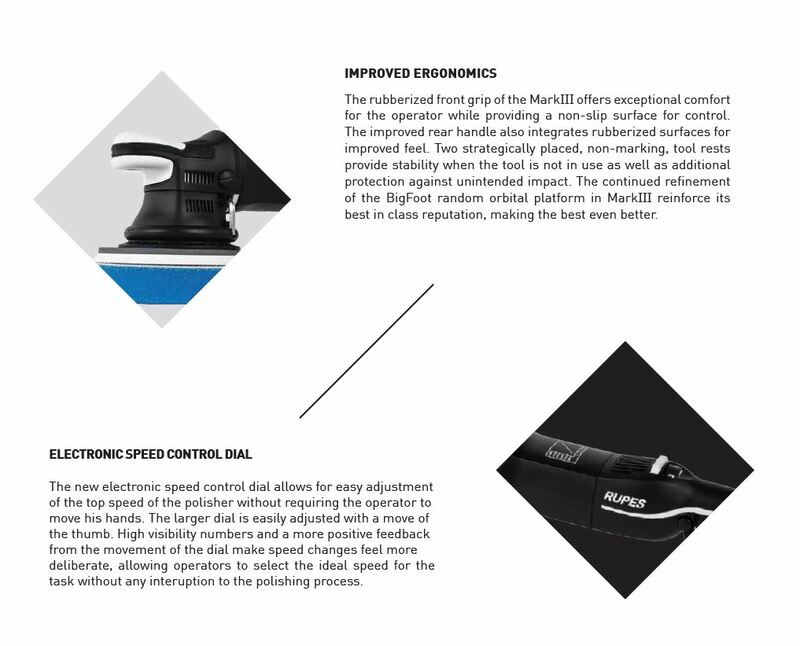 With the ability to remove 1500 grit sanding marks and leave a high-gloss finish in one step*, the LHR21 Mark III Random Orbital Polisher makes paint polishing fast and easy. The large, overlapping orbital movement eliminates the cause of swirl marks, and greatly reduces the chances of damaging edges and tight areas. Engineered to work in harmony with RUPES 180mm foam, 170mm microfiber, or 170mm wool pads, the LHR21 Mark III is nearly vibration free and incredibly comfortable to use.